Copper Finish Collar Bell with Nylon Loop -- Medium. $4.95. Wish I would of had this bell for years! It has very good volume. Able to hear the bell at least 100 yds away. I love it. Gus does not like it around the house. It tattles on him when he is getting into mischief. On the farm it gives me a low tech way of locating him as he is working the fence rows and gullies. I bought 2 bells and both arrived within 2 days and also free shipping! I never expected it so quickly. Great service and excellent bells for my dog. Looks and works perfect as advertised. The best way to keep track of my active Gaby. 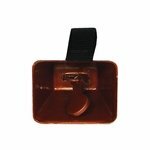 Well made and easy to slide on and off my whippet's collar. I bought the smaller, bell shaped one too and love them both. I allow my whippet off leash but worry about a few bold and fearless coyotes. I think this bell is loud enough to confuse and scare off the few that are giving us problems. I also carry an air horn and a mace gun. I have used these bells for about 8 months. Functionally they have held up well. They are loud enough that I can hear them about 100 yards, and my hearing is not that good. The finish is wearing off in places, but it has not changed the function of the bell. I liked them so well, I just ordered 3 more. 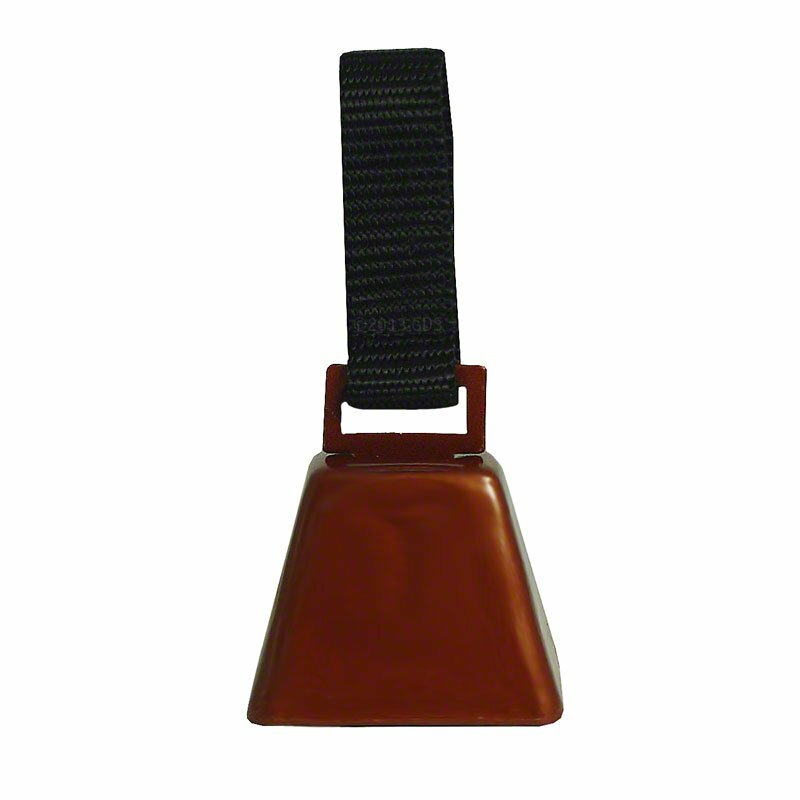 Tough medium sized bell with a great tone that is different than the large bell. Well made. You can definitely hear it over distances and through the brush. "Perfect for exercise runs in our woods." Perfect for exercise runs in our woods. She's an agility dog and can really move through some pretty tangled timber. This bell helps us to track her well! "I can hear her moving through the thick brush." I can hear her moving through the thick brush. Great little bell. I take my dog pheasant hunting on some vast sand dunes on Cape Cod, MA, and if he goes on the backside of a tall dune, I can still get an idea of where he is when I can't see him. Great product. Works great. Each have a slightly different tone. "it seems pretty durable and should prove it's worth in the field." What can I say, it's a bell, it makes the sound you would expect a bell to make. That being said, it seems pretty durable and should prove it's worth in the field. "Nice sound! Easy to keep track of my GSP in high grass..."
Great product. Not too loud but I can hear him 100yds out. "For all you bird hunters looking for quality, look no further than GUN DOG SUPPLY." For all you bird hunters looking for quality, look no further than GUN DOG SUPPLY. "I haven't had one complaint about anything I have bought here." I am using on my 5 month old setter when we go for walks in the fields. He gets excited when he sees the bell as he know it's field time. When first put on, he was a bit freaked but that only lasted about 2 minutes. Not too loud for a young dog, but you can hear it from a fairly good distance. Very pleased with product. "Simple, easy, works as advertized. " Simple, easy, works as advertized. Shipped fast. This is the second one I've purchased. They last about a year worth of field work. "Now the backyard birds have a chance! " Now the backyard birds have a chance! Love hearing the bell when the dog is off running in the woods, and I can't see her. "I liked the bell, but my dog did not." I liked the bell, but my dog did not. She tried to run away from it, but it was on her collar. Took it off right away. Good quality product! I would recommend it for anyone who has their dog off leash. The bell is reasonably loud, but not annoying. "Works well for me so far." Works well for me so far. The dog definitely is taking some time to get accustomed to it, but it helps keep track of her. I followed the internet's advice and use a little electric tape or a rubber band when I don't need full volume. 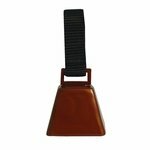 "This is a fully functional bell, and well built, but it sounds like a cow bell, so I don't use it." 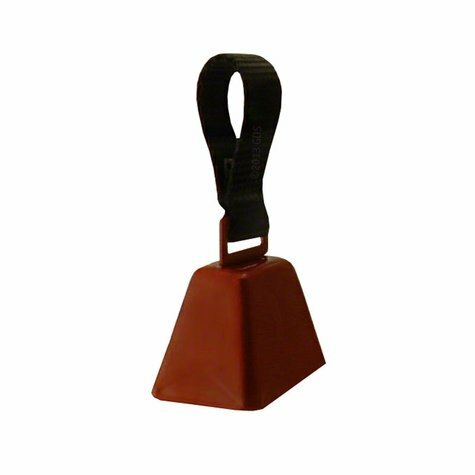 This is a fully functional bell, and well built, but it sounds like a cow bell, so I don't use it. Its one size too big. This should be sold as a Large Bell. A smaller one, same design would be preferred. I have had several of a more suitable size but wore out the clapper. Liked it but bell fell off already and I need another. Got it in December and it's now April. Can't hear it very well.